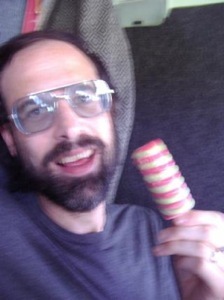 I had a friend introduce me to the Silver Jews in college. We shared a radio show together our freshman year and he would often pull out tracks from the American Water LP for the broadcast. But that was all I ever heard by them until 2006’s Tanglewood Numbers. With this limited exposure, and given the story of Berman’s bout with depression and time away from releasing output, Tanglewood seemed the perfect place to jump on. I’m glad I did. Not necessarily because of that album, though, but because of Lookout Mountain, Lookout Sea, its follow up, and its better. The tone of Lookout Mountain is immediately softer than its predecessor. Where “Punks in the Beerlight” had opened Tanglewood Numbers with a musically raucous but lyrically maudlin rocker, this album opens with “What Is Not But Could Be If,” a song that ruminates even as it sets the tone for moving forward across jangling guitars and hopeful insight. “My Pillow is the Threshold” is one of the albums darkest moments. “It’s a dark and snowy secret / and it has to do with heaven / and what looks like sleep / is really hot pursuit,” intones Berman in the first chorus. But the pause that this song gives is immediately offset by the fantastic “Strange Victory Strange Defeat,” one of the more sharp and lovely eviscerations of the music industry in some time. Admittedly my knowledge of the Jews’ back catalogue is lacking, but some of the more surprising moments on the album are the tracks that recall the loose, silly and rollicking version of Bob Dylan that were often strewn across his early records. “Aloyisius Bluegrass Drummer” is a ridiculous tale of a dishwasher and his love for a rather gluttonous musician from some imaginary place called “Region 10.” “San Francisco B.C.” is the type of endlessly-detailed story that recalls “Bob Dylan’s 115th Dream” – it winds out and back around itself with references to “sarcastic haircuts” and characters that insist that “love is the douche of the bourgeoisie.” “Party Barge” similarly creates its own mythos, while undermining it all the same. “Why not see a legend while it’s still being made,” Berman calls out amidst fog horns, seagulls and urges from Cassie Berman to “send us your coordinates / I’ll send a Saint Bernard.” These tracks pepper the record with a loose feel that makes the harder moments sink in more effectively and even get you to start examining the goofier numbers for meaning as well. Region Ten is not an imaginary place. It’s a community support organization (for mental health and substance abuse issues) located in Charlottesville, VA, where DCB went to college. I live down the street from their headquarters and have a couple of friends who work there.